Corn Dog Fryer. Making Corn Dogs is easy. First put the skewers in the Hot Dogs roll the Hot Dogs on a paper towel to remove excess moisture dip in Dipsy Dog Batter and then insert stick in skewer clip for frying. Fry for 2 to 3 minutes at 375 degrees Fahrenheit. 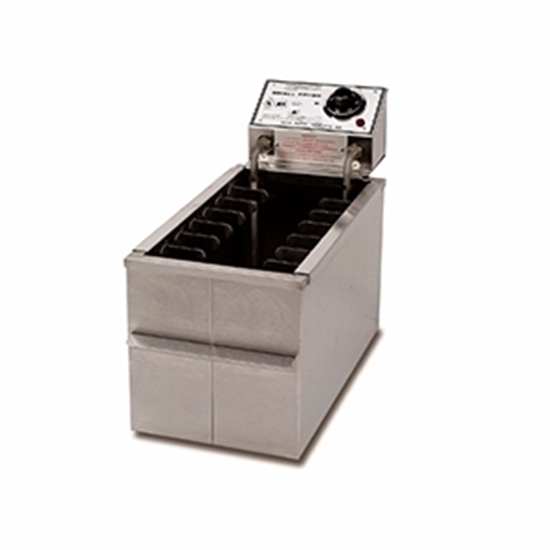 Each fryer comes standard with two seven position Skewer Clip Assemblies.U.L. and N.S.F. listed.